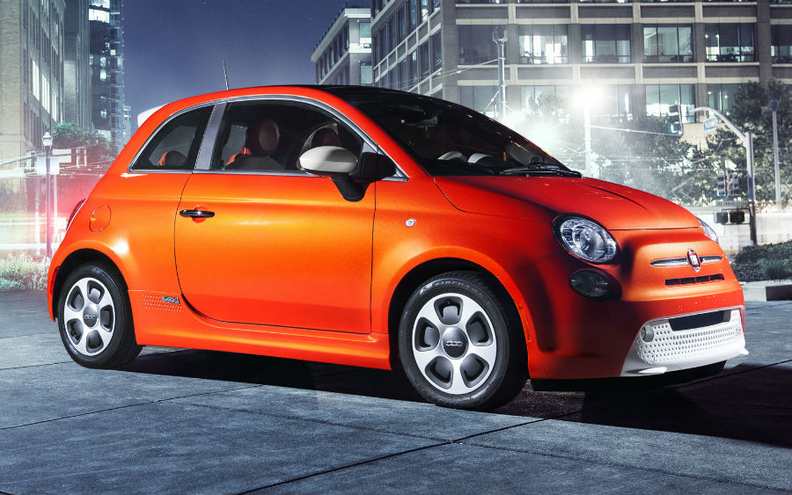 The Fiat 500e, shown, will launch first in California. TURIN - Fiat will not sell its 500e electric car in Europe, Fiat global brand boss Olivier Francois said. The 500e will launch in California in the second quarter next year. Sales will follow in other U.S. states that mandate sales of zero emission vehicles, Francois said. The 500e is a battery-powered version of Fiat's retro-styled 500 minicar. It has a range of 100 miles (160 km) and is expected to cost about $35,000. Chrysler, which builds the 500 range for North America in Mexico, will lose between $8,000 and $10,000 on every Fiat 500e sold, Fiat-Chrysler CEO Sergio Marchionne has said. Chrysler is launching the 500e to meet regulatory demands in some U.S. states to promote sales of zero emissions. Other automakers are introducing electric vehicles aimed mainly at the U.S. market. Toyota unveiled a battery powered variant of its iQ minicar at the Paris auto show in September, but said it will not sell the model in Europe. The iQ electric car is already on sale in California. General Motors will debut a battery powered version of the Chevrolet Spark in Los Angeles on Wednesday. U.S. buyers are showing little appetite for EVs. Of the 11.9 million vehicles sold in the U.S. in the first nine months, just 26,000 were EVs, according to R.L. Polk market researchers. EV sales in California, which accounts for about 10 percent of the U.S. market, were 2,618.